An unlicensed pharmacy business based in Largo is using websites to sell performance-enhancing drugs for body-builders and controversial hormone treatments to extreme dieters in apparent violation of Florida laws. The Internet companies, which share an address, are U.S. Injectables LLC and U.S. Peptides LLC. They host websites that offer a number of drugs on the “List of Prohibited Substances” by the World Anti-Doping Agency. The drugs are not illegal in themselves, but some of them are by-prescription-only, while others are not approved for human consumption. Donald H. Pierce of Largo is listed as owner of both companies that sponsor the websites. He declined to discuss them with a reporter beyond saying he is doing nothing illegal. Dr. Denis W. Stewart, a New Port Richey radiologist, is listed in state records as co-owner of the Injectables company. He did not return phone calls or e-mails. A Boca Raton family practitioner, Ken Woliner, says he filed a complaint in November against U.S. Injectables and against Dr. Stewart with the Department of Health. Woliner said he posed as a weight-loss patient to order HCG over the Internet and that Stewart issued the prescription without examining or speaking to him. The drug-sales businesses, which operate out of the same Largo address, are emblematic of problems policing medical practice in Florida. They resell injectable drugs that they obtain from compounding pharmacies, including one in Boca Raton. Such injectables must be made and maintained in sterile conditions; contaminated injections from a Massachusetts pharmacy caused a nationwide outbreak of fungal meningitis last year. The Boca Raton compounding pharmacy that produces products for US Injectables is GBTRx, doing business as KRS Global Biotechnology. Its website says it does not sell drugs online; it’s unclear whether it knows others are using its products to do so. Officials there didn’t return phone calls. University of Florida College of Pharmacy Professor Paul Doering at University of Florida, who looked at two of the websites at Health News Florida’s request, says some of the drugs being sold on the sites are just over-hyped, a waste of money. 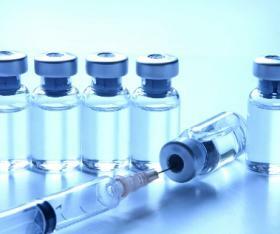 But others may be risky, such as U.S. Injectables’ HCG — Human Chorionic Gonadotropin — a hormone that pregnant women secrete. At several websites, US Injectables sells an array of HCG products, including a “28-day HCG Combo Weight-Loss Program” listed for $240. Syringes and needles are included. A prescription is available by filling out an online questionnaire. Online videos show customers how to mix the HCG powder with sterile water, upload it into a syringe, pinch fat around the abdomen and complete the injection. The video says the procedure is painless. Injecting HCG for weight loss was first touted by diet promoters in the 1960s and ‘70s, abandoned for decades and then revived in 2007. The FDA in December 2011 warned consumers against trying HCG for weight loss, saying there’s no proof it works and there are potentially dangerous side effects. The agency now requires a warning on the label. Among the peptides available for sale are CJC-1295, GHRP-6 and IGF-1 LR3. The website states that the products are for “research” only, not for human consumption. The compounds are among many that have become popular with muscle-builders after authorities cracked down on illegal use of steroids. Of course, it is against Florida law to sell drugs without a pharmacy license and Internet permit or for doctors to prescribe drugs without seeing or talking to the patient. But it happens all the time, according to an April report by the National Association of Boards of Pharmacy. That group reported that the vast majority of more than 10,000 online drug-sellers it reviewed were violating U.S. pharmacy laws. Only about 300 were deemed reliable. Almost 90 percent of the sites dispensed drugs without a valid prescription; almost half offered foreign drugs or drugs not approved in this country. Pharmacy Checker, a Canadian organization created to identify online medicine-sellers that follow good practices, would not add U.S. Injectables to its approved list because the site does not require in-person doctor exams, said Vice President Gabriel Levitt. Dr. Zachariah Zachariah, a Fort Lauderdale cardiologist who chairs the Florida Board of Medicine, expressed surprise when told that a Florida physician prescribed the drug that Woliner received from U.S. Injectables. He said online pharmacies present a challenge for regulators. “Usually it takes a while to track them down, if you can find them at all,” he said. The medical board has disciplined a number of doctors for prescribing to patients they never saw. Sometimes they have first been to court on criminal charges. One was Dr. David M. Kenton of Boca Raton, whose license was suspended in 2011 after he pleaded guilty to federal felony charges that he wrote prescriptions for imitation Viagra pills. He was allowed to resume practicing on probation, which will last until June 2014, state records show. Woliner, who filed the complaint against U.S. Injectables and Dr. Stewart, contends that state regulators are not aggressive or energetic enough going after pharmacies and physicians that break the rules. He says state staffers throw out too many potential disciplinary cases before they ever reach the Board of Medicine or the Board of Pharmacy. Carr, the DOH spokeswoman, said in a written statement that the agency takes disciplinary complaints seriously.